Okay, so it was more like brunch… or, even, lunch. But I finally got my greedy hands on some fresh Hal’s Hot Love, and my only choice was to immediately make tacos! Corn tortillas from El Milagro; local eggs from H& Ranch (purchased at Wheatsville), scrambled (with salt, pepper, garlic, and cream); grated cheddar; and Hal’s. Mmmmmm. 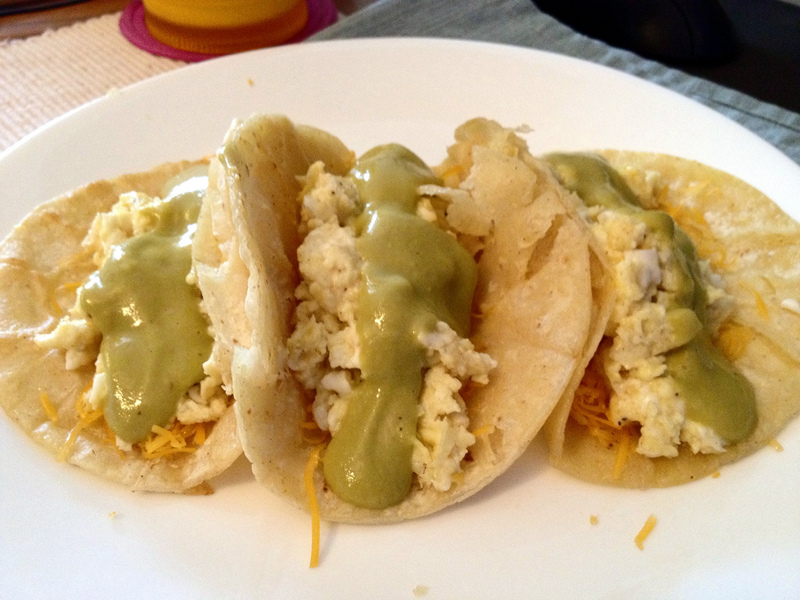 This entry was posted in Austin, Breakfast, Brunch, Gluten Free, Locavore, Products, Tex-Mex, This Week's Eats, Vegetarian by Susan. Bookmark the permalink.